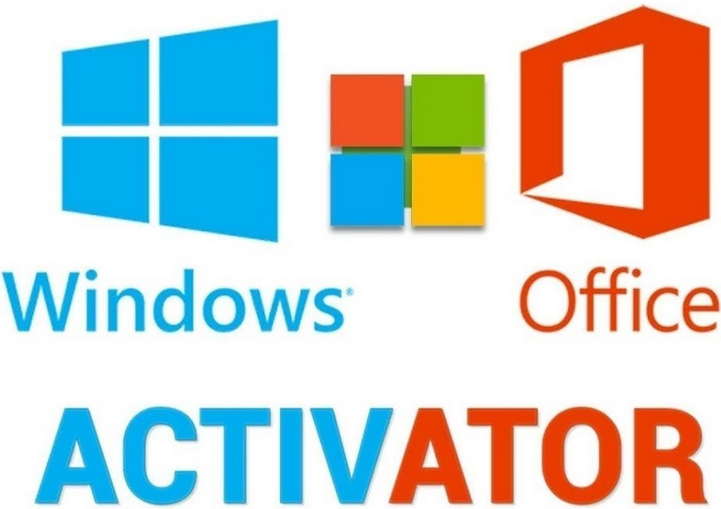 Win7 activation toolkit. 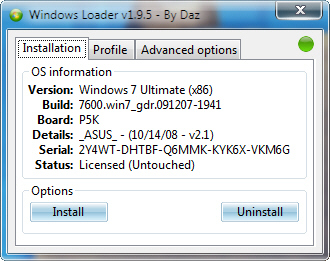 Just get yourself Windows 7 releases , choose one of the activation methods and you’re good to go. Еще один. Сам пользовался с 7. Проблем не было. 4. Нажать кнопку: "Run MSL"
Если все сделано правильно, система уже активирована. Кнопка "Uninstall SLIC" удаляет эмулятор с диска (откат). активатора волумных версий (Volume Edition) продуктов компании Microsoft. Работа по оптимизации и над новшествами в активаторе велась последние два месяца, основной упор в ходе работ делался на улучшение совместимость KMS эмулятора с антивирусными программами. Пришлось не мало потрудится чтобы добиться положительных результатов, применено шифрование KMS эмулятора для получения уникальной компиляции, и достигнуты очень положительные результаты. И ещё, теперь весь процесс работы активатора переведен на использование объектно-ориентированного языка взаимодействия процессов системы Windows Management Instrumentation (WMI) реализованного на уровне самой операционной системы. Для обращения к объектам WMI используется специфический язык запросов WMI Query Language (WQL), который является одним из разновидностей SQL. Это новшество позволило более корректно и избирательно выполнять команды активатора. Provides an alternative way to activate Windows offline and privately. Works on most builds or Windows (7, N, Server, Embedded). Turns on activated and genuine status: LicenseStatus = 1; GenuineStatus = 0. Validates with WAT (Windows Activation Technologies) online. Resets the rearm count and then freezes the evaluation countdown (grace period time remaining). 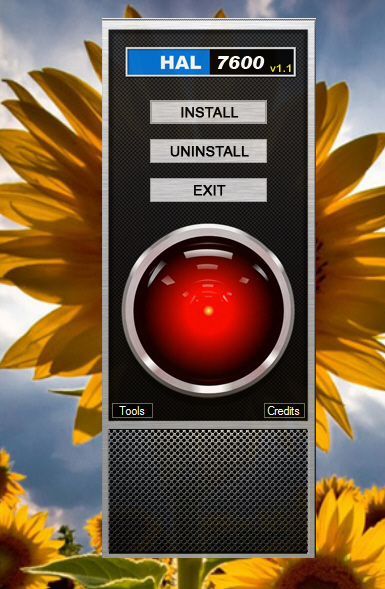 After the initial installation reboot, no further reboots are required to keep it activated. 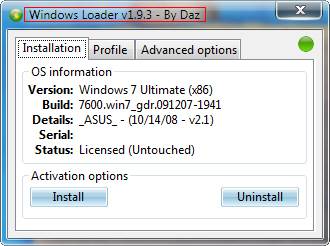 A simple click installs or uninstalls the program. It couldn't be any easier. Advanced patch cloaking, to hide any system mods from SFC and other resource digest checkers. Disable (or re-enable) Windows Defender or Microsoft Security Essentials. Change Windows Update settings easily. Query the WMI database for product name and key, license and genuine status, etc. with ease. Check for pending system file repair / update jobs, and clear them from the queue. Initial Configuration Tasks / Server Manager activation status patch for Windows Server 2008 R2 and Windows Home Server 2011 (code named "Vail"). Windows Embedded Standard patch to remove evaluation text from logo. Added a patching mechanism fix for the Windows Software Licensing Management Tool that should hopefully prevent it from being deleted unexpectedly, which in turn may actually solve several other seemingly unrelated problems, including the rearm reset not taking place, a dialog popping up at logon that says Ignore Ignore Ignore, a windows activation dialog that asks for the product key at logon, the "Status not available" message in computer properties, and WMI queries not working and just going blank. Removed an unnecessary registry backup & restore of a Windows Product Activation registry key. Removed an unnecessary service start. Added working directory specification that might help minimize problems with the rearm reset not working for some systems.